In 2011, a number of political and social changes were set in motion in Tunisia – their full long-term effects remain to be seen. In the short-term, many challenges exist: the economy has suffered, unemployment is high, and people in rural areas are affected by social exclusion and poverty. Mahrès is a small coastal town in central Tunisia with a population of approximately 30,000. The economy of the region is based primarily on fishing, and olive and almond tree cultivation. However, the income people are able to generate this way is generally seasonal and thus not stable. 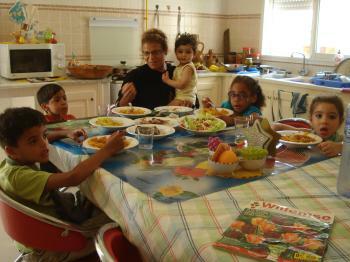 There are several social programmes in place in the city, providing free housing to poor families, for example. But not everyone has access to these programmes, and many families get by as live-in caretakers for wealthier families, often living in overcrowded conditions. Mahrès' agricultural industry draws many unskilled workers or single mothers with no professional qualifications to the city, who hope to find employment here. In many cases, however, they end up eking out a living in the informal sector, which makes their lives very insecure and puts children at the risk of losing the care of their parents. In addition to unemployment, low income and inadequate living conditions in the home, other factors such as mental health issues, chronic diseases or juvenile delinquency often aggravate the situation, making the youngest members of the family incredibly vulnerable. In recent years, SOS Children’s Villages has been expanding its outreach work within the local community due to the high number of vulnerable families, which include female-headed households as a result of divorce, the husband’s death or unmarried mothers. These women often lack the resources and professional skills to provide for all their children’s basic needs. Furthermore, up to 60 per cent of them are illiterate and are thus excluded from the formal job market. The goal of our work within the community is twofold: on the one hand, we want to raise families’ capacities to become self-sufficient and meet all their basic needs. On the other hand, we want to raise awareness in the community so that children from struggling families are not marginalised. The local government and other organisations in Mahrès support us in our efforts, for example by helping us identify vulnerable families, establishing strong networks, providing psychological support or holding training workshops for illiterate women. 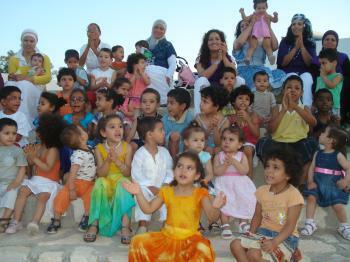 SOS Children’s Villages began its work in Mahrès in 2000. Today, our SOS Social Centre offers a family strengthening programme, which reaches out to struggling members of the local community and provides support. We ensure that children have access to essential education, nutritional and health services, and we provide counselling where needed. We offer parents guidance on income-generating skills and parenting practices. In collaboration with local organisations, we also work towards strengthening the already existing support networks within the community. Around 400 children and their adult caregivers currently benefit from the programme. For children in Mahrès who are no longer able to live with their parents, 13 SOS families can provide a loving home for up to 104 children. In each family, they live with their brothers and sisters and are affectionately cared for by their SOS mother. The children from the SOS Children’s Village attend the SOS Kindergarten here together with children from the community and the family strengthening programme. This means that children from SOS families make friends and are integrated into the local community from a young age. When young people who grew up in an SOS family feel ready to move out of the family home in order to pursue further education or vocational training, our SOS Youth Programme continues to support them as they make the transition into adulthood. The young people live together in semi-independent housing, with a qualified counsellor who provides guidance and assistance where needed.